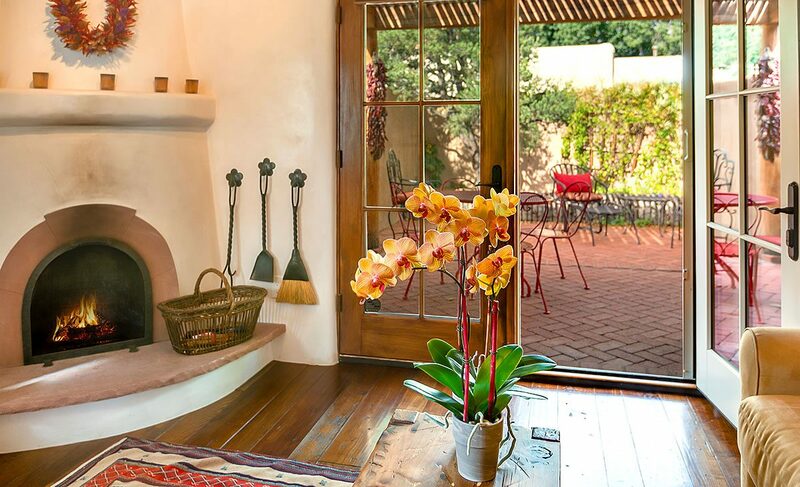 This darling of Palace Avenue may seem unassuming from the street, but an open door reveals the secret hide-away. 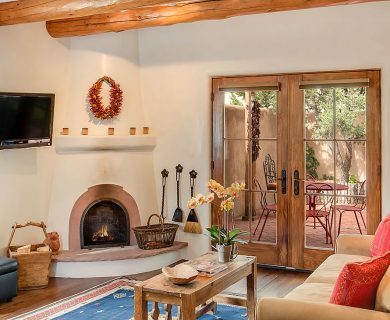 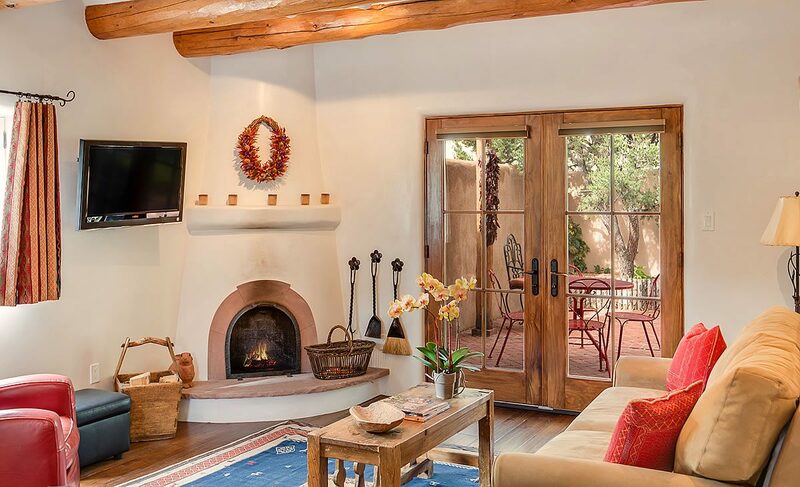 Once an early 1900 carriage house, Casa Perla was stripped down to one wall and rebuilt as a quintessential adobe casita, incorporating the best design, appliances and traditional décor. 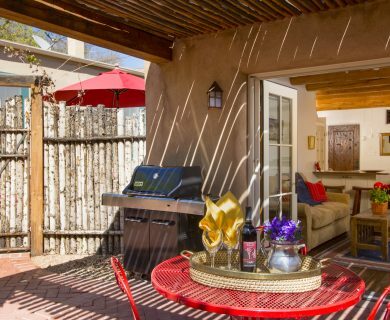 In summer the living room can be extended out to the private garden that begs al fresco dining under the pergola. 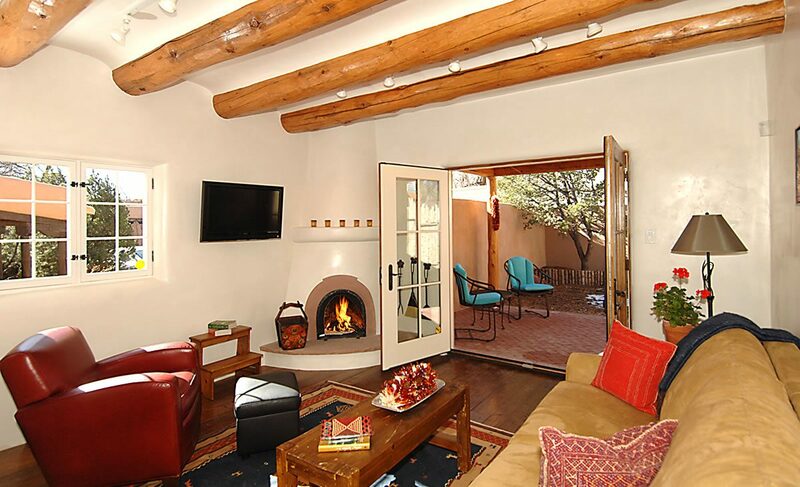 In cooler months the enjoy the traditional Kiva fireplace for a cozy warmth. 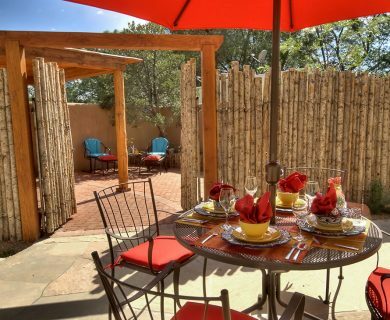 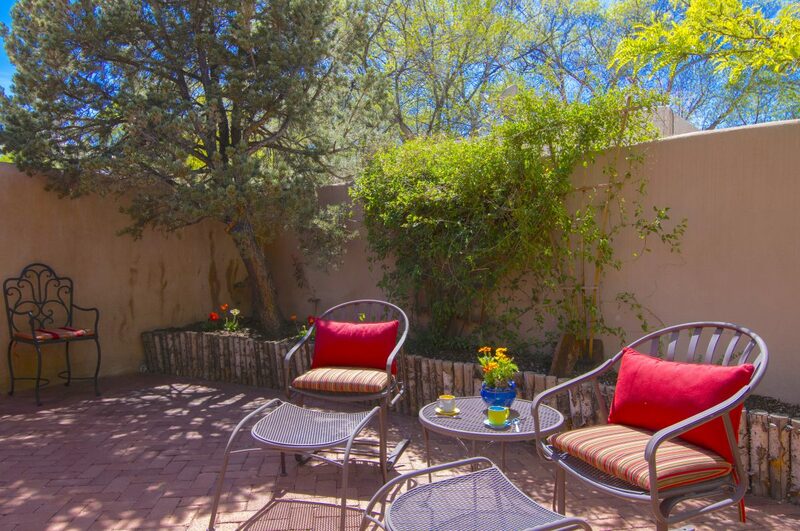 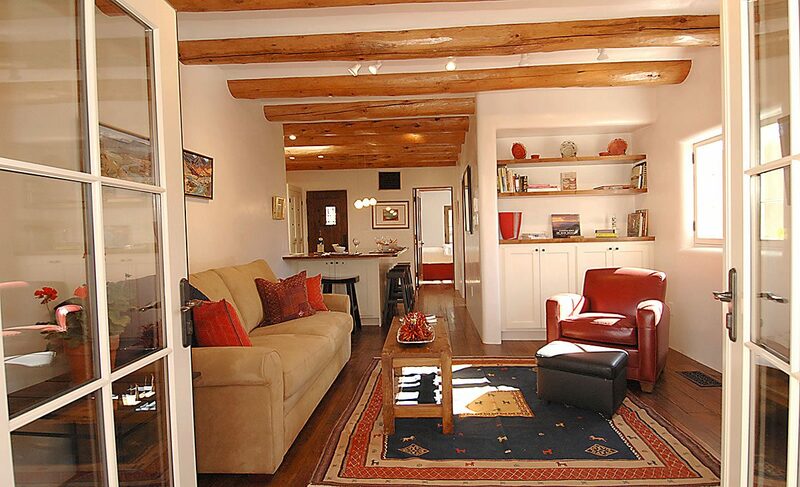 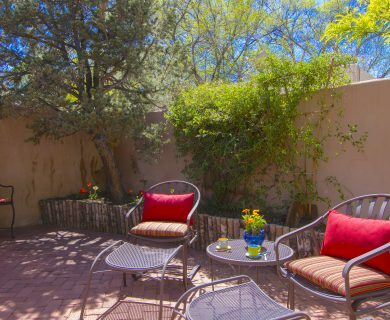 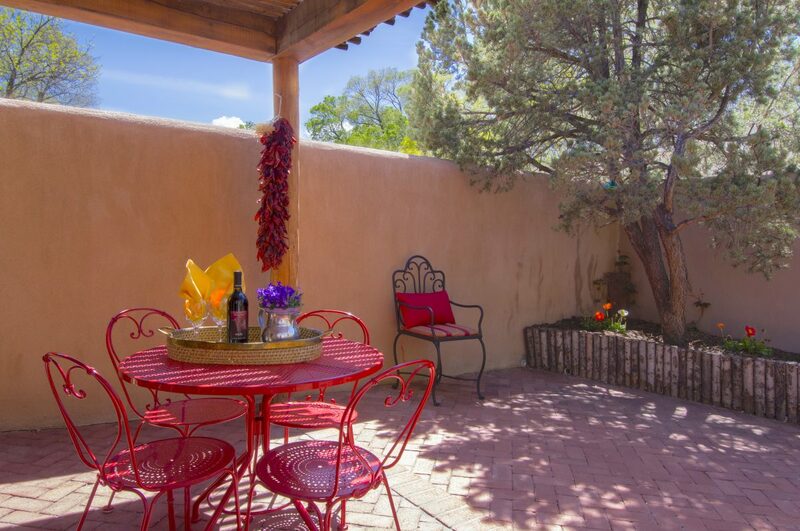 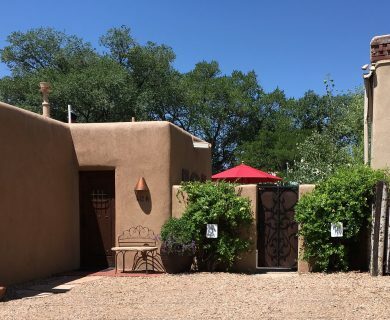 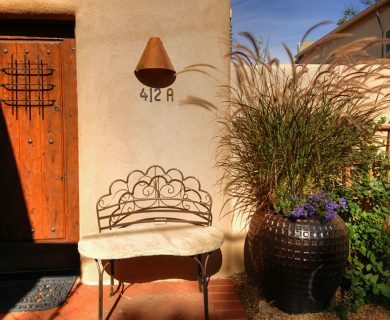 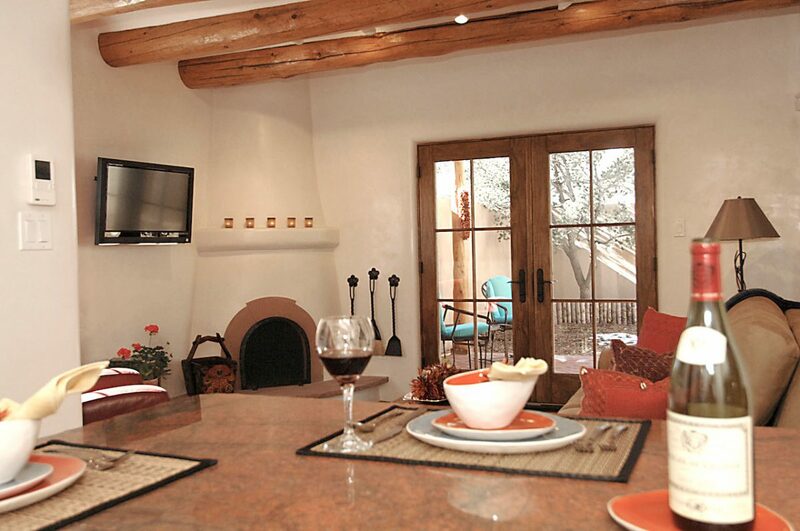 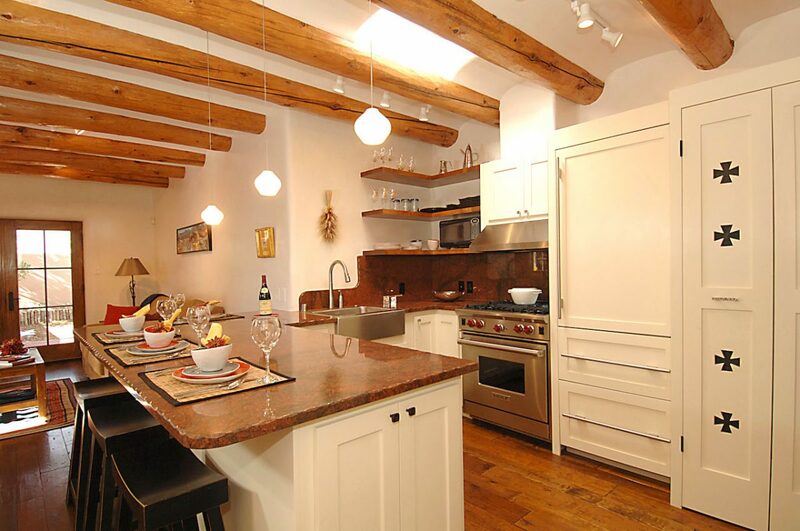 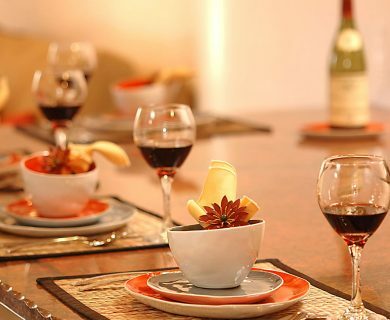 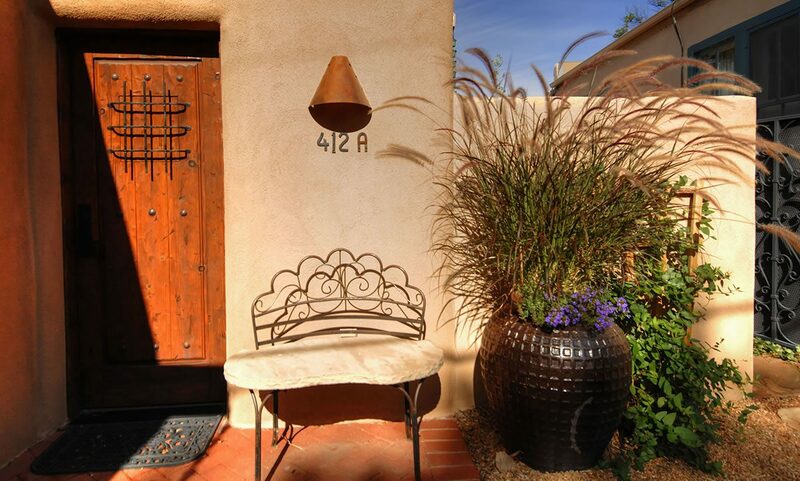 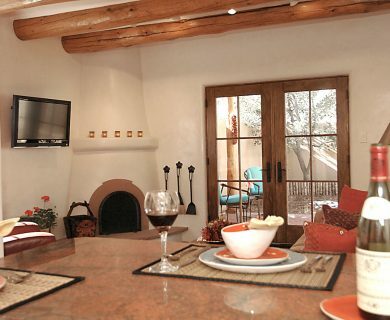 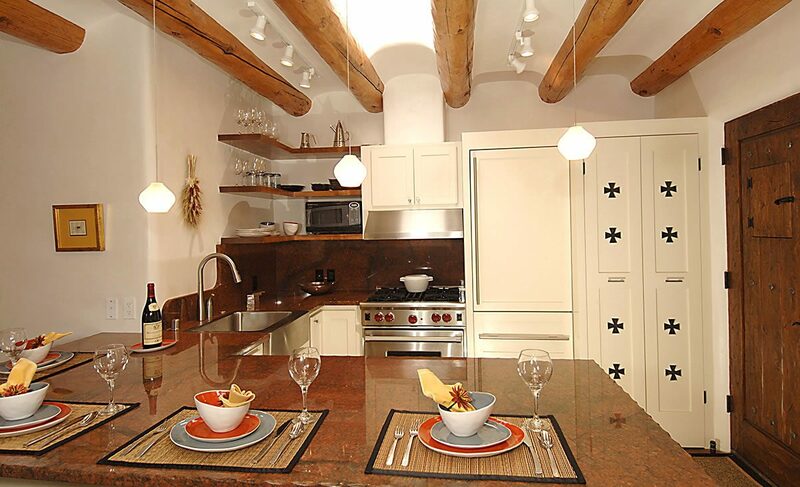 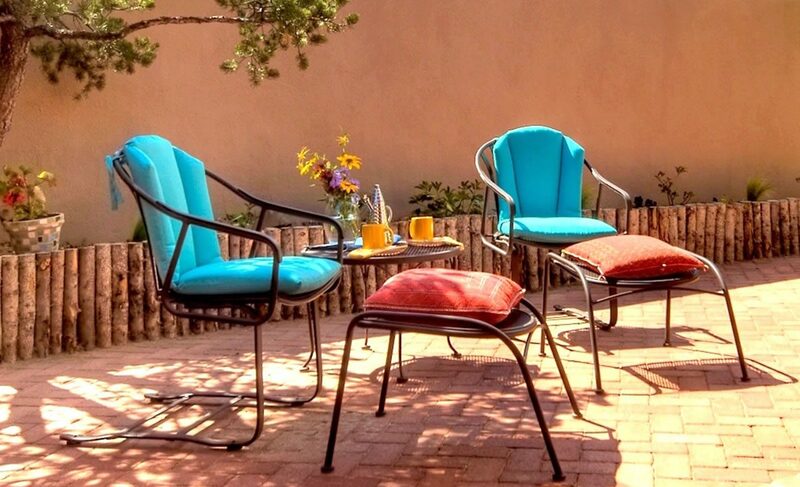 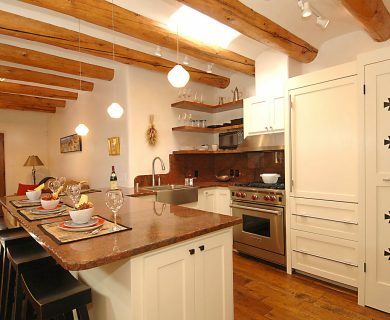 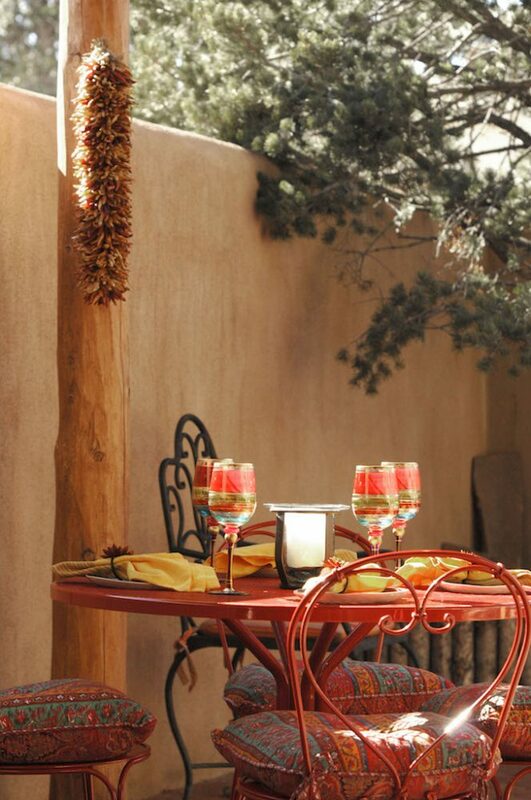 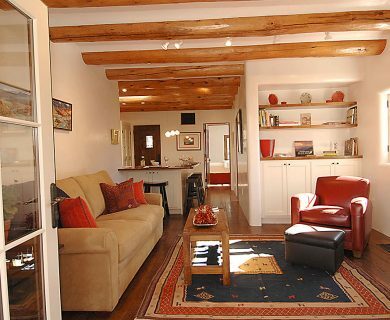 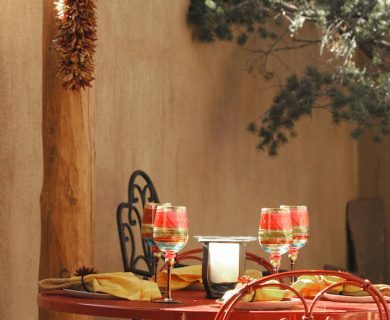 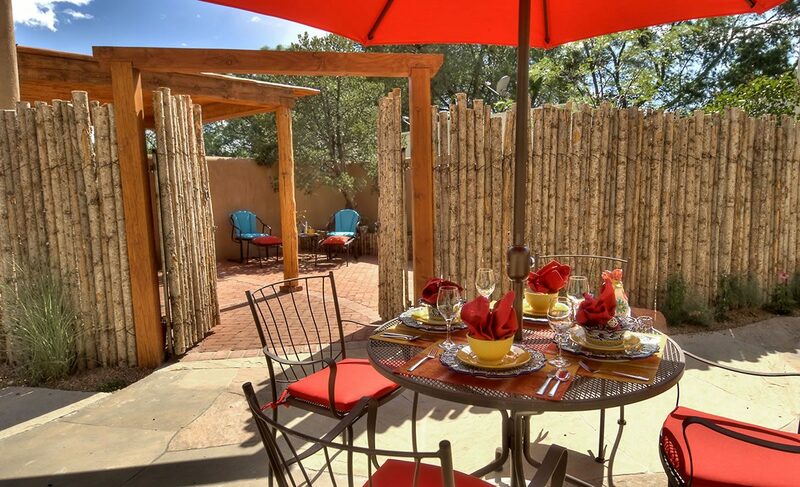 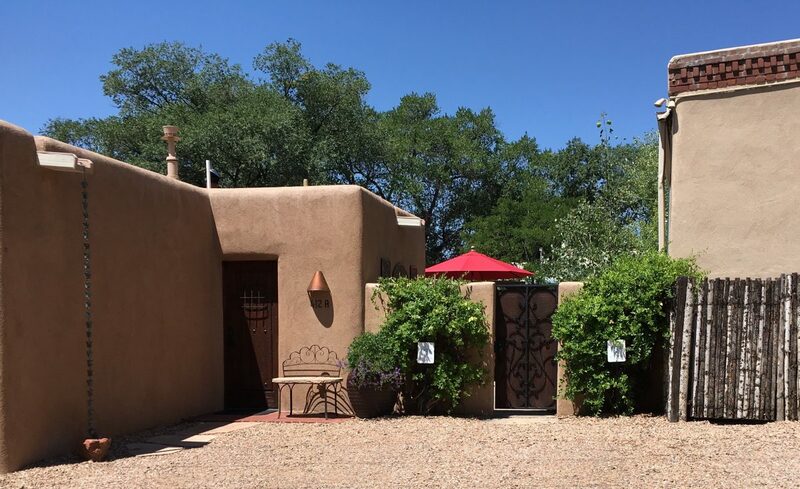 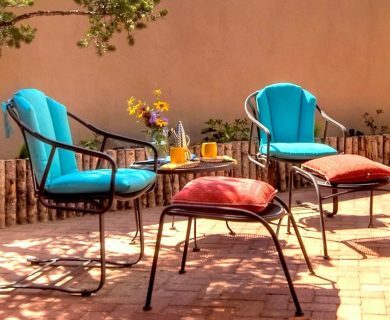 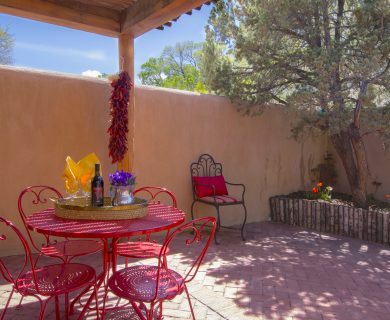 Located within two short blocks of the Santa Fe Plaza and Canyon Road Arts District, Casa Perla is a five-minute walk to world-class galleries, unique shopping and a host of sumptuous restaurants. 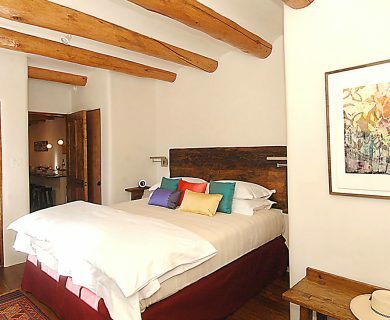 Need additional room for guests? 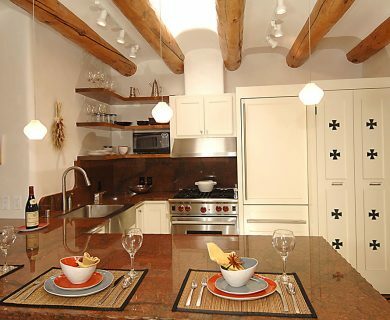 Reserve The Palacio Compound combining Casa Perla and Casa Simpatica that comfortably sleeps up to 10 people. 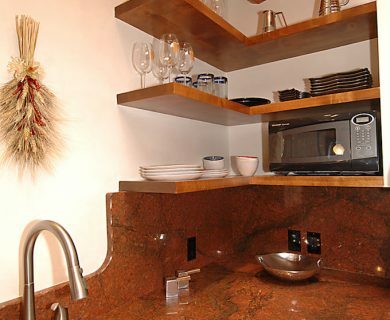 LIVING AREA: Air Conditioned: between the “Red Dragon” granite dining bar and the over-the-top kitchen, get overwhelmed immediately. 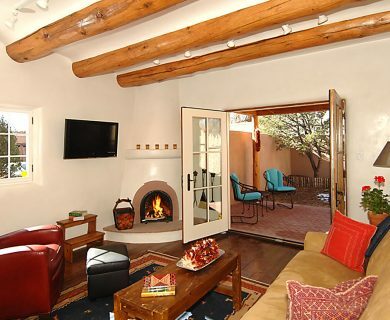 The cozy living room and secluded bedroom reveal themselves and the bath is small but exquisite. 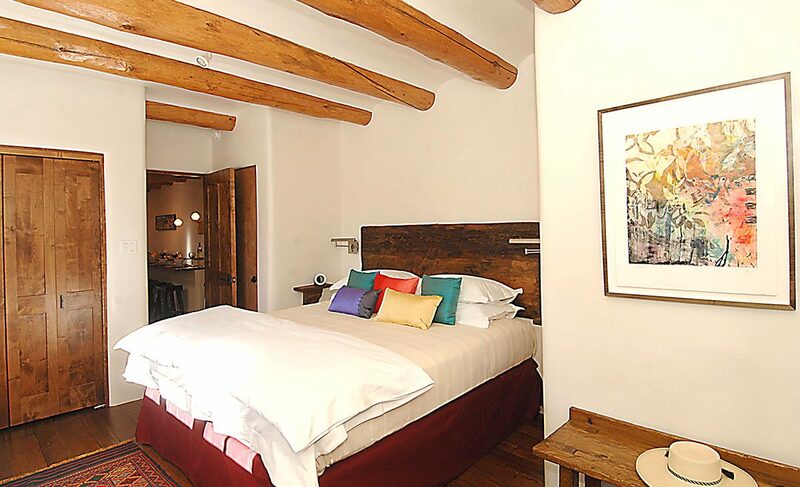 LUXURY BEDROOM: have a soothing night’s sleep on premium mattresses with freshly pressed custom Pratesi Italian linens, lofty duvets, robes, feather-weight pillows, and blankets. 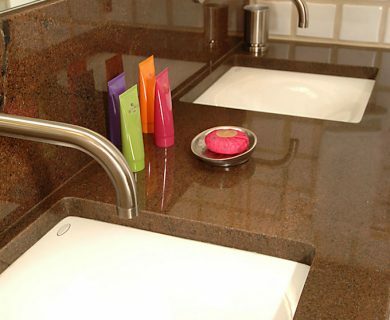 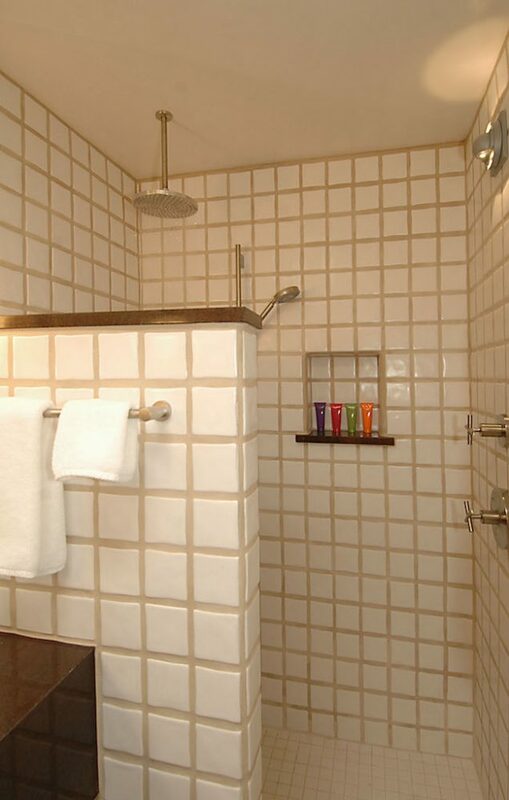 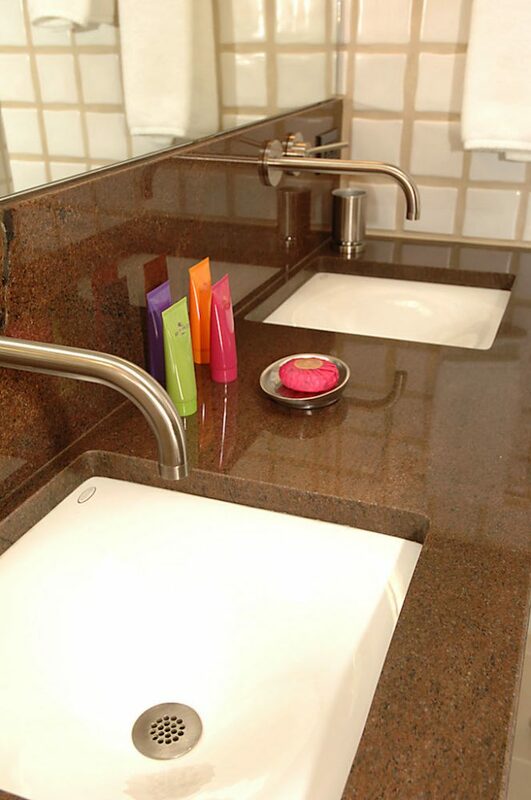 LUXURY BATHS: enjoy the spa-like bath with walk-in rain and hand-held showers, ECO Touch towels, Etro designer toiletries, hair dryers, and magnifying mirrors. 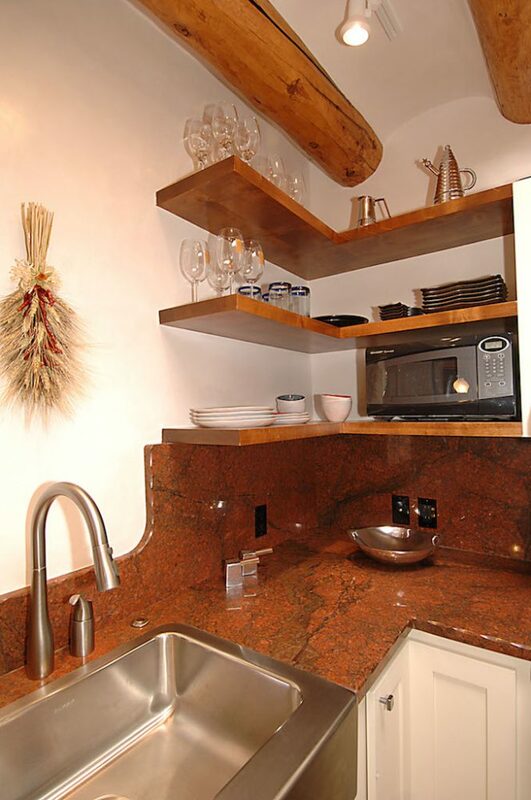 KITCHEN: the Subzero-Wolf kitchen offers a gas range, ice maker, Keurig coffee maker, microwave, toaster, blender, food processor, All-Clad cookware, pantry items, and creamer and sweeteners. 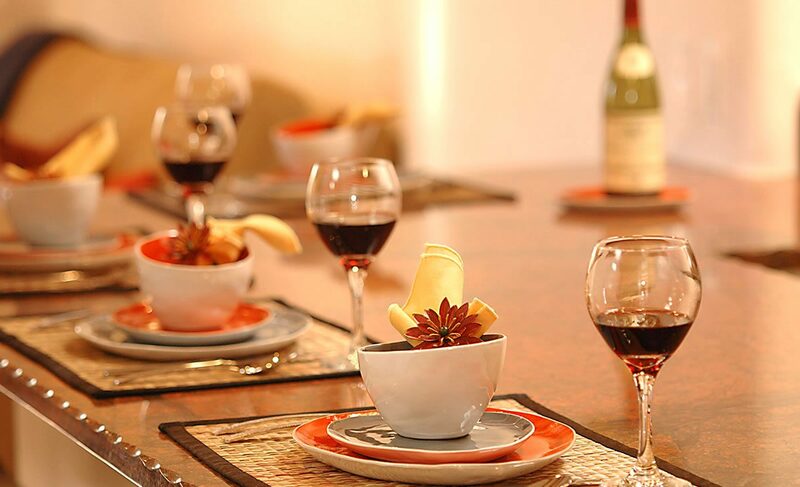 Service for 6: dishware, glassware, and flatware. 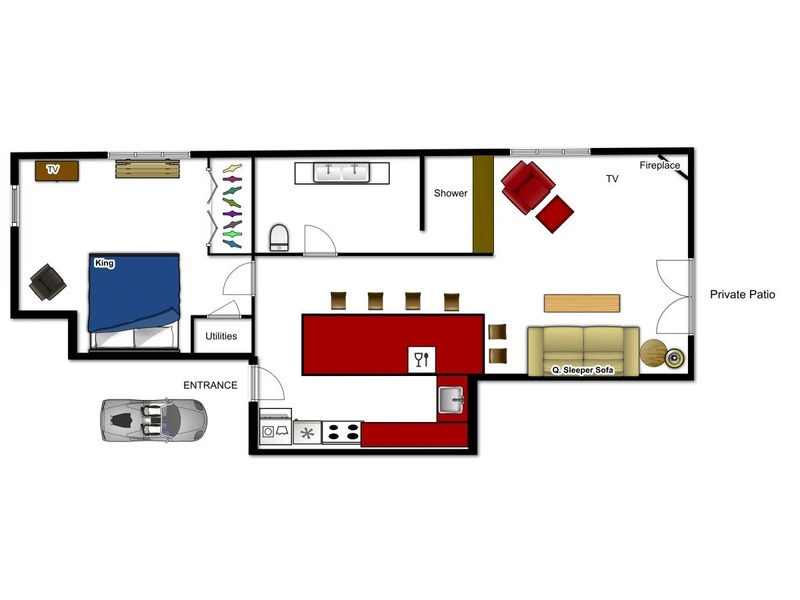 Washer/dryer, iron and ironing board. 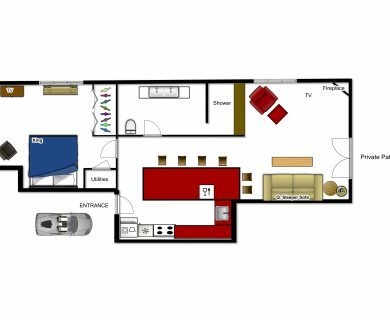 ENTERTAINMENT: 45″ TV in Living room, smaller TV in the bedroom, Netflix, cable TV, DVD player, library, Bose SoundLink Mini. 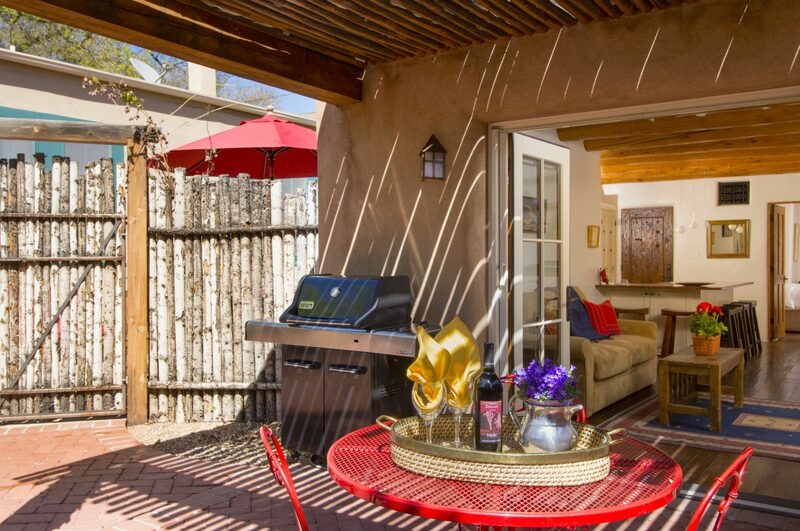 EXTERIOR: the patio has a gas grill, a pergola to shade and additional seating. 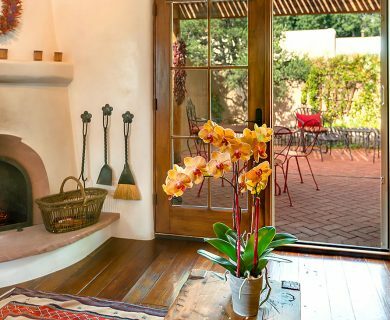 One off-street parking space at your front door.